This all-in-one self-contained PA system made by the legendary Anchor Audio. It is a 50 watt battery/line powered PA amp with built-in speakers. 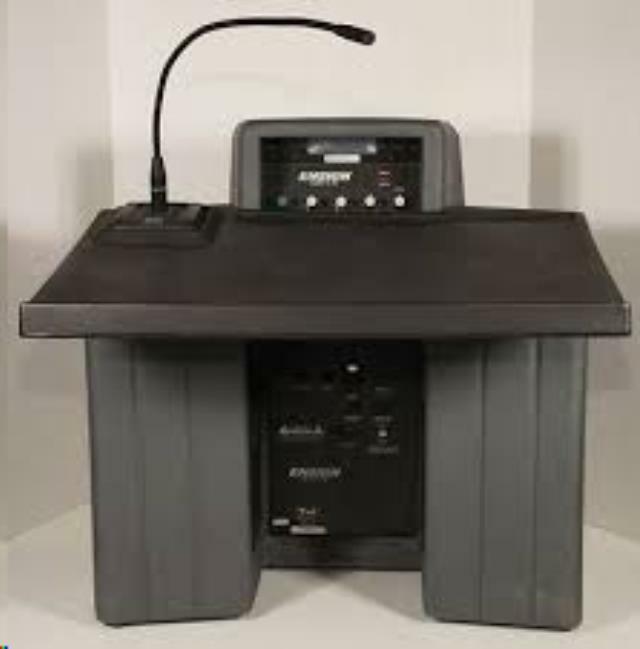 It also has a podium with attachable gooseneck mic. There are inputs for a second microphone, a line input and output, 12 volts out and two speakers connectors. The main panel has volume controls for each mic and the line input plus bass and treble adjustments. There is also a podium light. It all folds up for transport and can be set up in under a minute. 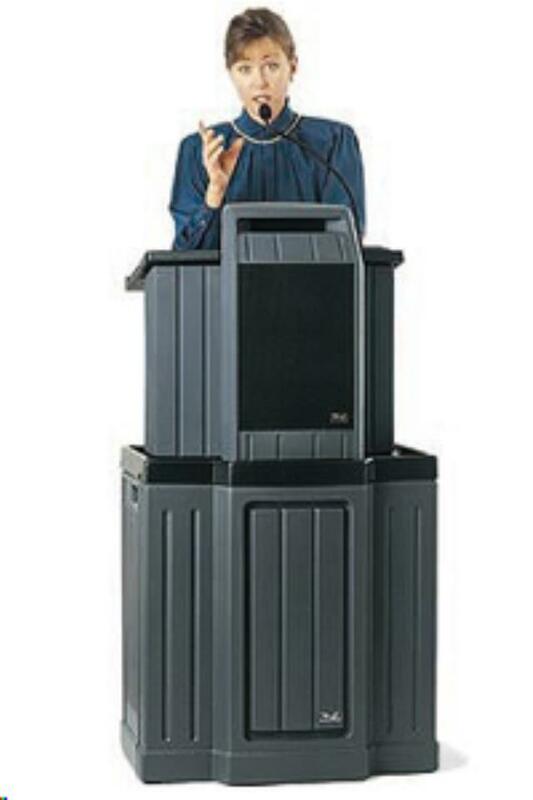 * Please call us for any questions on our pa podium lecturn w/mcrophone rentals in Eastlake OH.